The Pentagon is no longer using its name for the U.S. military mission on the southern border, military officials said Wednesday. “Operation Faithful Patriot” was the name for the deployment of at least 5,000 active-duty troops at ports of entry along three border states. A Pentagon spokesman told Military Times that there will be “no official name change,” but department officials “are not calling it ‘Operation Faithful Patriot’ ” anymore. “We are merely referring to it as border support,” the spokesman said. The change was decided by Defense Secretary James Mattis’ office and was issued on Election Day, military officials told the Wall Street Journal. Mattis and other Defense Department leaders have consistently pushed back against allegations that the deployment of active-duty troops is politically motivated, or that it is related to the 2018 midterm elections. “We don’t do stunts,” Mattis said last week. Officials told the Wall Street Journal that a possible reason for the name change is to more accurately reflect the mission to support another government agency, rather than conduct an operation under combat. 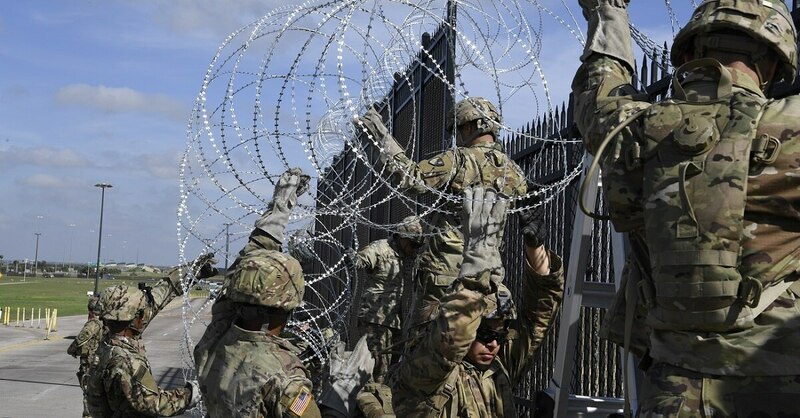 The U.S. troops deployed to the border are working in Texas, Arizona and California in anticipation of caravans of migrants and would-be asylum seekers, most of whom are from Central America, journeying through Mexico to the U.S.
Gen. Terrence O’Shaughnessy, the head of U.S. Northern Command, is commanding the military operation. In Mexico, members of the caravans of migrants are weighing whether to stay in Mexico or complete the trek to the U.S. border, the Associated Press reported Wednesday. Many are pausing in Mexico City for a rest as they decide what to do. Mexico has offered refuge, asylum or work visas to the migrants and the government said 2,697 temporary visas had been issued to individuals and families to cover them while they wait for the 45-day application process for a more permanent status, AP reported.